Carol E. Christ, formerly of Cascade, Age 85 passed away Tuesday morning, January 9 2018 at St. Michaels Ascension hospital in Stevens Point. Carol was born August 22, 1932, in Milwaukee Wi to the late Joseph and Ruth (Nuss) Ulwelling. She attended local schools in Milwaukee. On December 26, 1953 she married Gustav Christ. . The couple resided in Milwaukee prior to moving to the Town of Mitchell in 1967. 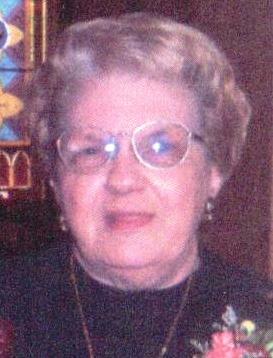 Carol was a member of St. Michaels Christian Mothers and St Michaels Parish Council, Parnell, Wi. She also served as the parish treasurer for St. Michaels Cemetery Association and St. Michaels Christian Mothers Society Carol was a Red Cross Volunteer. She served as chairperson for the Catholic Stewardship Appeal. She belonged to the Federation of Women’s Club in Edgerton, Wi. Carol also served as Edgerton’s 4H director of plays. Carol enjoyed being outdoors, gardening and tending to her roses. She loved spending time with her family and friends. Carol and Gus traveled throughout the United States and Europe. Survivors include one son Robert (Eileen) Christ of Stevens Point, three grandchildren, Kenneth (Amanda) Christ, Jennifer (Eric) Teska and Michael (Jessica) Christ, and two great grandchildren, Nora and Elsie Teska. Carol was preceded in death by her husband Gus, two sons Wayne and Kenneth, and one brother Earl Ulwelling. Following cremation a Memorial Mass will be held Saturday May 19th, 10:30 AM at St. Michaels Chapel, Shepherd of the Hills Parish in the town of Mitchell. Father Mark Jones will be the celebrant. Inurnment will take place at St. Michaels Cemetery.